How to share an investment illustration? Besides publishing and printing an investment illustration, you can chose the fast way with Email and Call shortcuts. Share a portfolio and make it visible to your client. 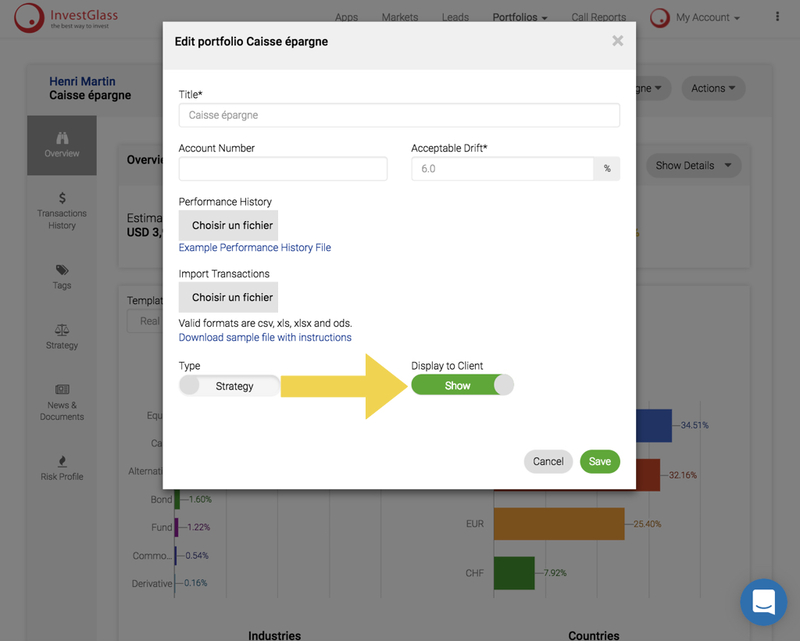 Go to a portfolio, select Edit in the Action menu then click on the toggle button to display the portfolio. Click on Save. 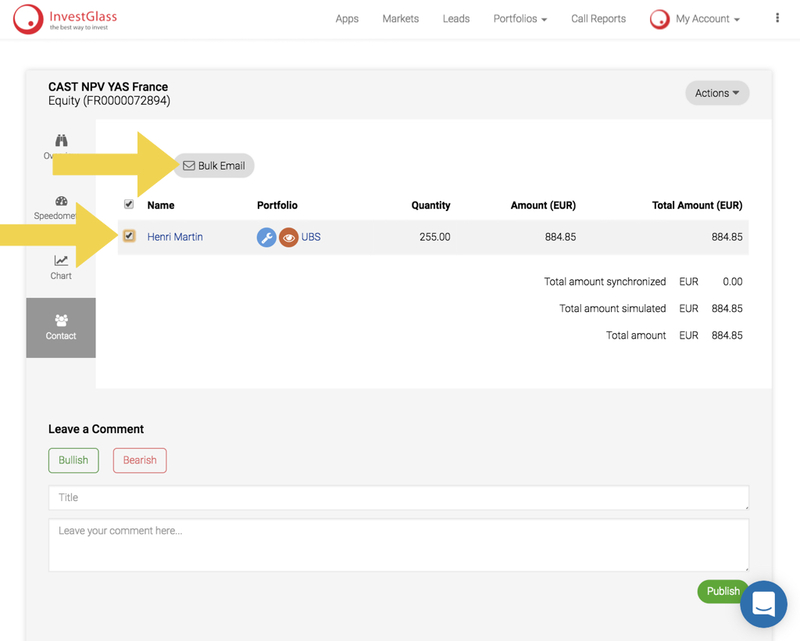 If the portfolio is synchronized from custodian / bank then it will automatically visible into the client facing portal. 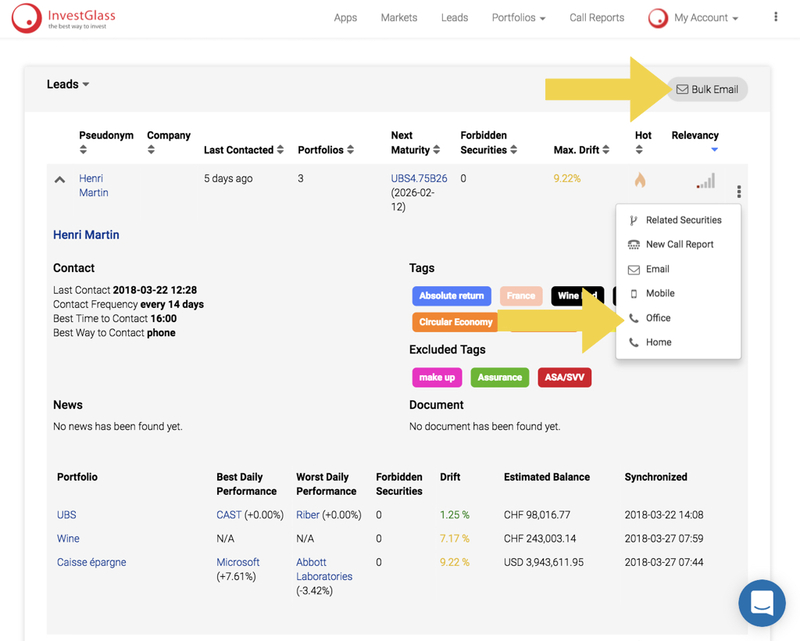 Blast a message from Leads - filter your clients, then click on Email or Call to automatically trigger your default communication tool. You can also choose to click on Bulk Email to blast a message to a client segment. Go to a security page, then go to Contact. Click on Contact names then Click on Bulk Email. 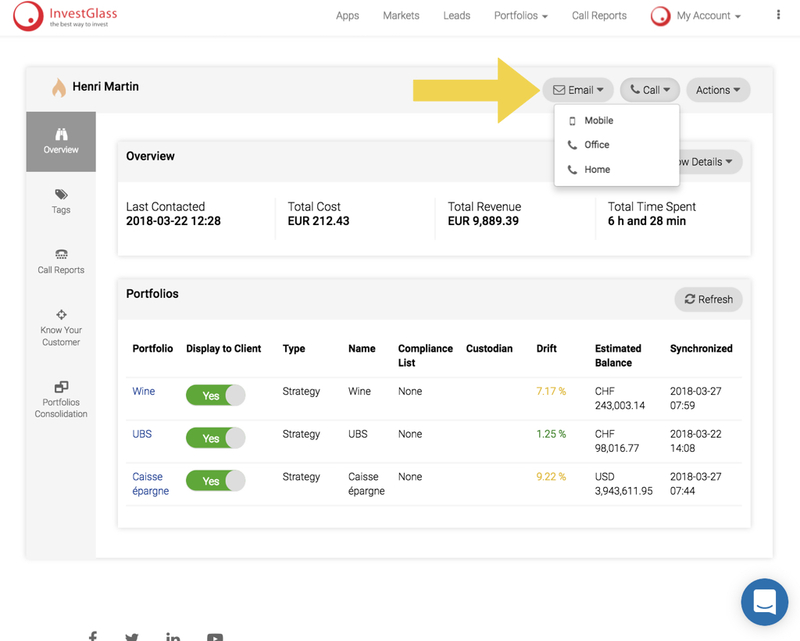 From the CRM Contact page, you can click on Email or Call functions too.